The South African National Roads Agency SOC Ltd (SANRAL) would like to notify travellers that roadworks is scheduled to take place on the R75 between Port Elizabeth and Despatch from Monday, 19 November 2018 until Friday, 23 November 2018. 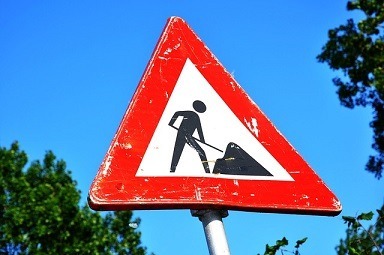 The left lane between St. Leonards Road and Spondo Road will be closed for 500m during the day and reopened during peak hours when travelling from Port Elizabeth towards Despatch. The last 500m on the right lane between Johnson Road and Chelsea Road will be closed when travelling from Port Elizabeth towards Despatch during the day and reopened during peak hours. The left lane between Chelsea Road and Ralo Road will be closed for 2km when travelling from Port Elizabeth towards Despatch during the day and reopened during peak hours. The left lane between Chelsea and Johnson Road will be closed for 1km during the day and reopened during peak hours when travelling from Despatch towards Port Elizabeth. The right lane between Spondo Road and St. Leonards Road will be closed for 1km during the day and reopened during peak hours when travelling from Despatch towards Port Elizabeth. Roadworks are expected at all intersections between Dyke Road and Ralo Road.